Maire designs made to measure contemporary wedding gowns. She places a strong emphasis on the most flattering silhouettes for the body shape. 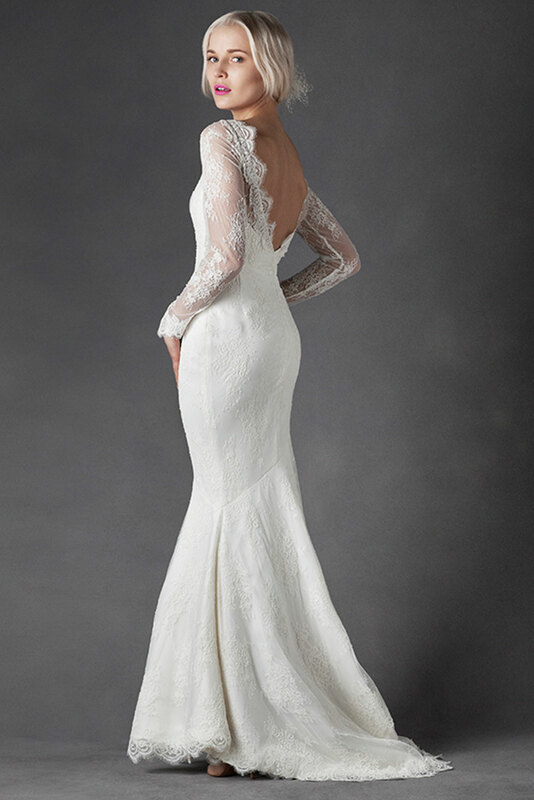 Maire designs made to measure contemporary wedding dresses for the most sophisticated brides. Both a tailor and designer Maire places a strong emphasis on the most flattering silhouettes for the body shape. At the initial consultation, we identify the style from the collection that best suits the client’s figure and style preferences. Once we have identified this, changes to the fit and lengths are noted, and we then we take measurements. We can also make style modifications to the existing styles from the collection, should the customer request this. Her wedding dresses can be made in a wide range of luxury fabrics and she introduces trimmings and jeweled embellishments to enhance design.